The Social Work Audio Visual (SWAV) team manages AV Services in all classrooms and conference rooms within the Social Work Building. Basic AV (see Standard Equipment below) is available in all classrooms and conference rooms, and offered to all CSSW affiliates (Social Work courses, administrative departments, student caucus groups and research projects) free of charge during standard hours of operation in the fall and spring terms. AV charges apply to all customers unaffiliated with CSSW. AV services must be included in your room reservation request via V-EMS, swavevents@columbia.edu, swrooms@columbia.edu or swrmrental@columbia.edu and be made at least five business days in advance of the date of the event. Room reservations should be submitted with actual event times. If you need additional time to setup please note it or email the request. Unfamiliar with the classrooms in the Social Work Building? See chart listing each room and its available equipment (PDF: 1 page). Need help with using available AV equipment? Please email us to schedule a 15-20 minute training session. If possible, include dates, times and the classroom room number. CSSW Affiliates: Hourly AV Technician/Tech Support rates apply and are required for all audiovisual services requested outside CSSW’s hours-of-operation and for specific services and rooms with special equipment setups. See list Below. Non-CSSW Affiliates: Hourly AV Technician/Tech Support rates always apply for meetings, events and classes. See list below. PLEASE NOTE: All meetings and events are required to have a minimum of one hour of setup/training time prior to the listed start time for meetings and events and thirty minutes of breakdown time following the listed end time for meetings and events. If you would like the AV available to you sooner please make that inquiry in your initial reservation request. Reservation Time is when the group will like access to the room prior to the start of the event. Event Time is when the actual formal proceeding of the event will start. An event program is required and should be provided with your initial reservation request. The number of AV Technician/Tech Support and setup time required may vary and are scheduled due to the complexity and size of the meeting and event. There is a minimum two and a half hour charge for both AV Technician and AV Tech Support services. 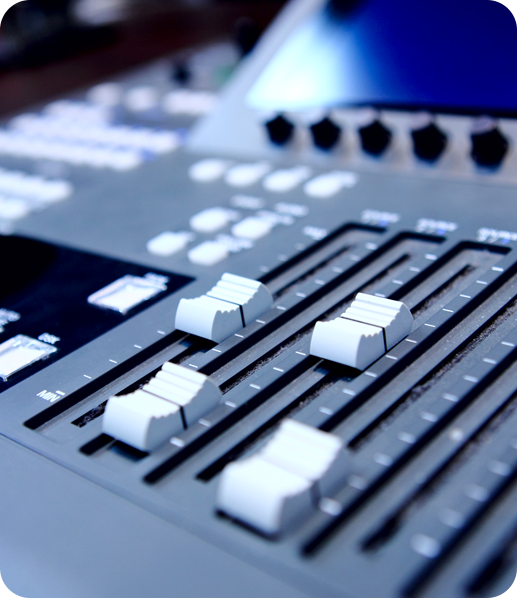 All official CU courses are offered a 25 percent discount toward audio visual services. An official course number including section, course name and faculty name is required and must be listed in the Directory of Classes. For official classes AV is available fifteen minutes prior to the start of class when applicable. AV services and rates are subject to change without prior notice. AV Tech Support, $55/hour: Flexible Classrooms (3rd & 4th Floors) & Seminar Rooms (C-Level, C01 & C02 only). Covers the unlocking, setup, prepping/training and locking of Basic AV in the room and providing phone support during the meeting or event. AV Technician, $85/hour: Required room 311/312 Podium Package, Concourse Level (C03, C05 & C06). Covers more complex AV services and support, including but not limited to portable podium setup, wired microphone setup for panels, video recording, monitoring online services like CSSW ZOOM, Skype or Adobe Connect accounts, any other special AV services and providing phone support during the meeting or event. A $150 Late Request Fee will apply for AV requested within the five (5) business days before the event to cover administrative costs. A minimum $150 or 10% of AV Services, whichever is greater, will apply if AV is cancelled within five (5) business days of the event to cover administrative costs. A minimum $150 or Full AV Services, whichever is greater, will apply if events/reservations with scheduled AV are not cancelled in EMS, and the event does not occur (No Show), to cover administrative costs. Please contact us as far in advance as possible to schedule the services you need; we recommend a minimum of two (2) weeks’ notice. For larger events such as all day conferences, we recommend six (6) weeks’ notice to ensure that AV staff is available. AV services are not automatically guaranteed for events that fall outside standard hours of operation, such as on weekends or during school breaks. For AV services questions, email swav@columbia.edu. If your questions have not been answered on this page, we invite you to visit or contact us. The Social Work Building’s AV offices are located on the 4th floor, in suite 419. We can also be contacted by email (swav@columbia.edu) or phone at 212-851-2345. I run a student group and we want to host a film screening one Wednesday night in October. What will be our AV fees? Your AV should be free as the screening will take place during standard hours of operation, and as a student group, you are considered an affiliate of the School of Social Work. I want to hold a conference on a Saturday in 311/312, with podium package and CSSW ZOOM session for remote attendees, from 9:00 a.m. to 5:00 p.m. What are the charges? AV Technician: 311/312 Multipurpose Room with Podium Package => 9.5hrs x $85/hour = $807.50 (includes coordination, prep, setup, break down and support). If the event requires Overflow/Spiller room, CSSW ZOOM account or video recording, an additional AV technician is required: 9.5hrs x $85/hour = $807.50. I am a faculty member and have reserved a conference room for a meeting on Wednesday afternoon. I’ll need your help setting up my PowerPoint presentation. What should I do? Indicate this on the Room Reservations form in the V-EMS. Submit the V-EMS reservations form FIVE BUSINESS DAYS IN ADVANCE of your event. PLEASE NOTE: If you do not submit the request for Basic AV five business days in advance, our services, even for Basic AV, are not guaranteed and AV charges may apply. Mondays 9:00 a.m. – 5:00 p.m.
Fridays 9:00 a.m. – 5:00 p.m.
*Basic AV is available for CSSW affiliates until 10pm with a five (5) business days in advance written request and approval at no charge. During University holidays, the School is closed and AV services are not available. To check if we are open, please go to our AV Hours Calendar.